Rebel Wilson is apologizing to fans and fellow plus-sized actresses this week, acknowledging she has "neglected to show the proper respect to those who climbed this mountain before me." While promoting her new film "Isn't It Romantic" on "The Ellen DeGeneres Show" last week, the 38-year-old said she was beyond proud to be the first ever plus-sized actress to star in her own romantic comedy. But Twitter users were quick to point out that wasn't true, citing Queen Latifah and Mo’Nique as plus-sized women who had previously played romantic comedy leads. Wilson responded that there was a "slight gray area" in a tweet Thursday. "I, of course, know of these movies but it was questionable as to whether: 1. Technically those actresses were plus-size when filming those movies or 2. Technically those films are categorized/billed as a studio rom-com with a sole lead. So there’s a slight grey area," Wilson tweeted. Mo’Nique herself kindly responded to Wilson, urging her to "take a moment and know the history." "Hey, my sweet sister. Let’s please not allow this business to erase our talent with giving grey areas and technicalities. Take a moment and know the history. DON’T BE A PART OF ERASING IT. I wish you the best," Mo’Nique tweeted. After responding directly to Mo’Nique, Wilson posted a lengthy statement on Monday, apologizing for not appreciating the work these women had done and the opportunities they had given her. 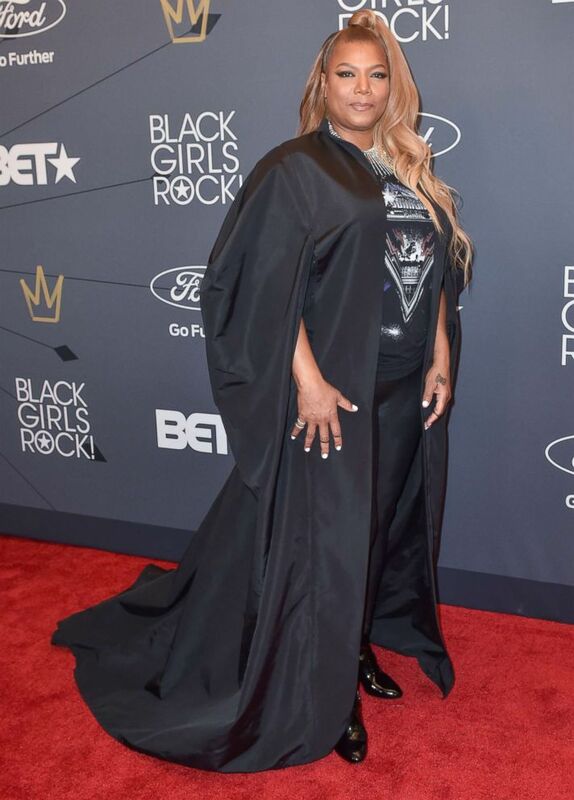 Singer/Actress Queen Latifah attends the Black Girls Rock! Red Carpet at the New Jersey Performing Arts Center, Aug. 26, 2018, in Newark, N.J.
"In a couple of well-intentioned moments, hoping to lift my fellow plus sized women up, I neglected to show the proper respect to those who climbed this mountain before me like Mo’Nique, Queen Latifah, Melissa McCarthy, Ricki Lake and likely many others," Wilson tweeted Monday. Wilson also apologized for blocking those on Twitter who called her out about her original comment. "With the help of some very compassionate and well-thought out responses from others on social media, I now realize what I said was not only wrong but also incredibly hurtful. To be part of a problem I was hoping I was helping makes it that much more embarrassing & hard to acknowledge. I blocked people on Twitter because I was hurting from the criticism, but those are the people I actually need to hear from more, not less. Again, I am deeply sorry," she wrote. "Isn't It Romantic" opens in theaters on Feb. 14.